Guardians and conservators are appointed and supervised by the court. In a guardianship or conservatorship proceeding, a court orders the appointment of a person or agency to act as a surrogate decision maker for a person because the individual has demonstrated an inability to make decisions for themselves based on medical and behavioral evidence. In the case of guardianship, these decisions relate to the person’s health, well-being and housing. In the case of conservatorship, these decisions relate to the person’s financial affairs including their assets and overall estate. A guardian can arrange and consent to services that are needed to provide for a person’s care, comfort, and needs. This may include food, clothing, shelter, health care, and social and recreational services. Guardians also have the ability to consent to medical treatment and other professional care, apply for benefits, and approve contracts. Limited Guardianships are established for people who retain the ability to make some decisions, but need assistance in one or more specific areas. A conservator is responsible for managing a person’s financial affairs and ensuring that their needs are being met. The conservator is responsible for carefully and prudently managing the person’s bank accounts, including checking and savings accounts, as well as investments and other assets such as real estate. Typically the conservator pays all bills and can enter into contracts, to ensure that the person’s housing costs and other services are being paid on a timely basis. Why First Fiduciary Corporation as Guardian and Conservator? First Fiduciary Corporation was the first professional fiduciary in Minnesota, founded in 1969. We have nearly 50 years of experience and have built a reputation as a trusted leader in the field of fiduciary management. We have handled many complex cases and difficult family situations. Our employees are held to the highest ethical and professional standards, and are amongst the most highly trained and experienced professionals working today. While state certification is not required under state laws, our staff are required to become National Certified Guardians after their first year of employment. We have become a leader in all facets of guardianship and conservatorship and have forged long-term relationships within the legal and social services community. First Fiduciary Corporation is also a leader in advocacy at the national and state level. We advocate for the rights of clients, as well as increased transparency and accountability of professional and family guardians and conservators. Our guardianship clients are assigned a Care Manager who will arrange for appropriate services that optimize the health, welfare and safety of our client in the least restrictive manner possible. Our Care Managers work closely with family and others who are in the client’s social support network, to develop plans that will meet the client’s needs including physical, social and spiritual care. We provide frequent communication to family members and others regarding the client’s well-being or care concerns. In addition, there is always a back-up Care Manager assigned to each case, as well as after business hours emergency support; this provides an important way to communicate about the client and any changes in their care. 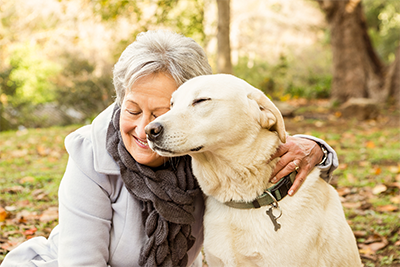 Our conservatorship clients are assigned a Care Manager to manage the client’s assets and income, pay bills, manage contracts and property matters, among other duties. Each transaction is reviewed by at least two people in our internal process to increase financial security. There is also a back-up Care Manager assigned to each case. First Fiduciary Corporation is also willing to keep current investment management relationships in place when appropriate — something many firms do not allow. We bill only for time spent on the client’s case, rather than a flat fee or percentage of estate value. Finally, we provide responsive customer service and care management that sets us apart in our work with clients. For Conservators and their attorneys: FFC will serve as the agent on My MN Conservator. With our experience, we will ensure your annual accounting is filed quickly and accurately. We can also assist with audits prepared for the Conservator Account Auditing Program (CAAP) through the Minnesota Judicial Branch.